Clinical Trials Ontario (CTO) is an independent not-for-profit organization established with support from the Government of Ontario. Our mandate is to work together with the clinical trials community, the public, and other partners to improve Ontario’s clinical trials environment. Since 2012 we have been carrying out our mandate with one of our three strategic pillars being patient and public engagement. We believe engaging patients and the public is critical to improving the environment for clinical trials in Ontario and will result in better clinical trials, better experiences for trial participants, better physician-researcher experiences, and in the long run, a better health care system. 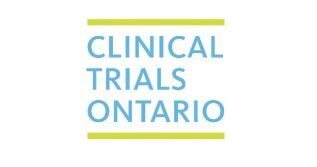 More information about Clinical Trials Ontario can be found at www.ctontario.ca. In 2017, CTO created a Patient and Public Advisory Group (which is called the P2AG). More information about the P2AG, its goals and its members can be found here. The P2AG helps CTO ensure that our activities are informed and improved by the perspectives and advice of patients and the public. They are currently seeking 3-4 new members to join the current P2AG members. You do not need to know about clinical trials to be involved – as long as you are interested in clinical trials and live in Ontario there may be a role for you.